Doing the best I can – what I hope always results in good work – is a given. It usually entails good words for my clients, the kind of copy and content that compels your target markets to the actions you desire and generates the results you need – leads, sales and support. Getting good words back from my clients – that’s just gravy. A huge thank-you to everyone who took the time to share your thoughts and feelings about our work together. I have had the pleasure of working directly with Martin over the course of several years on various projects. In addition to his strong writing skills, Martin demonstrates high integrity with everyone and everything he touches. With polished listening skills and direct communication style, I find high value in our interactions and couldn’t be more pleased with the end results. Without hesitation, I recommend Martin to anyone looking for a solid player. I love working with Martin. He is a master of the English language, and uses a unique blend of left-brained and right-brained skills to make sure every encounter he has with his clients is top-notch. I’ve had the pleasure of working with him on a project for one of his clients, and I love the rapport he has with his client and how much they appreciate the work he does for them. I’ve known Martin for many years in various contexts, and I’m confident that anyone who uses his services will be blessed with an objective, professional, and wildly effective product. (Martin) was absolutely amazing with helping to get some great PR material put together. He asked a lot of thought-provoking questions that really helped us put our best foot forward. We absolutely would hire him again. Be More Colorful, Fargo, N.D. I knew I needed to update my website. And I knew I needed help. Martin Fredricks is more than a talented guy with words and copy editing. He’s great at messaging, content, design and SEO, and he’s a good listener. He knew who to contract with for different things and was a great project leader. He always followed up to make sure we stayed on task and was great to bounce ideas off of. Martin gave honest feedback and had a critical eye. Have gotten lots of positive feedback on our website and new logo, too. I highly recommend Fredricks Communications for any advertising or promotion work you have. It was a great collaborative experience. Lifetime Vision, Grand Forks, N.D.
I’ve worked with a number of writers and marketing strategists in my career, but few who take the time to learn and thoroughly understand the concepts like Martin does. Admittedly, I have a demanding eye for great writing, clarity and correct grammar use. Martin delivers on all fronts. That in itself would be enough, but he deserves some other titles as well: super decent dude, humble, respecter of budgets, understander of technical concepts and quick-getter-doner. Uh oh, my spellcheck is trying to get my attention. Maybe I should have had Martin proof this reference, too. Bottom line: Use him. You won’t be disappointed. WolfDesign, SnowWolf & Stonebrooke Equipment, Burnsville, Minn. Here at RG Industries, our mission is to deliver the best electrical products to our customers. Martin understood our core values and provided us with amazing content for our website and other marketing material. I received everything quickly and enjoyed Martin’s professionalism throughout our project. His writing and listening abilities are second to none and he delivered a fantastic product, with minimal effort on my end. I would highly recommend Fredricks Communications to anyone looking for a quick, easy and affordable marketing content solution. Thanks Martin! RG Industries, Santa Fe Springs, Calif.
Fredricks Communications has become my go-to for copywriting and content for Fetch Auto Rescue and Hawkinson, and I plan to work with Martin on future ventures. He is very easy to work with, highly responsive and professional, so I know I’m going to get what I need when I need it. Just as importantly, he comes to the table with original ideas that help shape the overall communication approach for new products or services. It’s that kind of thinking and execution that helps us put our best foot forward right out of the gate. Fetch Auto Rescue & Hawkinson, Fargo, N.D. I needed new content for Bold Leading’s homepage, for a drip email campaign and a landing page, and I needed it quickly. Martin asked great questions, listened carefully, then created messaging that was on the mark for my business, which provides coaching and consulting for non-profits. He also turned the project around quickly. I’m looking forward to working with Fredricks Communications again. Bold Leading, Grand Forks, N.D. I am the former CEO of HUSUM WindEnergy, the leading trade fair on WindEnergy in Europe since 1989. Martin Fredricks was our representative in the U.S. The American market in wind energy had developed very fast, bringing a lot of “newcomers” to the industry. Martin helped us to understand the dynamics and the market, including inter-cultural differences. In this respect, Martin was able to make American exhibitors feel at home in Husum, Germany, so he contributed as communication specialist through his warm-hearted and reliable personality to the very special ambiance of our exhibition. He checked all English public relations such as our websites, brochures and journalistic activities. But more importantly, he helped American politicians, exhibitors and visitors to understand the significance of the world’s leading and most international trade fair on wind energy. In this way he opened the door for American VIPs in the industry to support our show, which was very important for the international image of our exhibition. I have worked with Martin on a number of projects through Knight Printing. The printing industry requires that projects be timely and kept on track. Martin has always provided immaculate electronic files when expected and proof approvals are prompt, allowing us to deliver projects as promised. His professionalism is unsurpassed! Martin is knowledgeable, creative, professional and efficient. He takes great care with understanding the material he’s working on and packages his stories with accuracy and appeal. He has an invaluable ability to build rapport with interviewees and I can’t say enough about how much that’s appreciated. Otter Tail Corporation, Fargo, N.D. The Greater Fargo Moorhead Economic Development Corporation has a long history of working with Martin and Fredricks Communications. Martin does his research, asks the right questions and breaks down complicated information. His writing is clean and crisp, and he quickly gets to the heart of the message. Martin is creative and excellent at managing projects. I highly recommend him for any creative project. 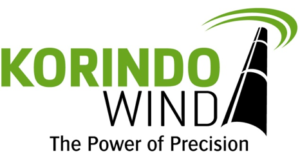 Greater Fargo Moorhead Economic Development Corporation, Fargo, N.D.
Fredricks Communications’ invaluable service to Korindo Wind stems from gaining a fundamental understanding of our business, then clearly addressing where we need to go and how. It is not about selling what he can do, but rather he listens carefully to what we, as the customer, want to accomplish, then developing and transforming those ideas into actionable steps to get us there. The service and performance Fredricks provides cannot be equated to a P&L statement, but rather into a value that cannot be measured. I’m very glad we have a partner in Martin to help us get to where we need to be.